HOW CAN YOU GO WRONG WITH THIS BEAUTIFUL 2BED 2BATH CORNER UNIT IN A WELL MAINTAINED WATERFRONT COMMUNITY?Condominium fee includes: Building Insurance and Maintenance, Water, Sewer, Trash pick up, Lawn service, Roof, Basic cable and Security.This is an active community with two Pools (one heated) and three club houses with lots of fun events for you to enjoy. Gulf Harbors BeachMembership is Optional @ $144.00 Yearly. Located close to Shopping Center, Banks, Restaurants and Health Services this unit offers a lot of storage space, a newer A/C unit, 1,328Sq.feet of usable space and a covered Assigned parking space. Furnishings can be purchased separately. 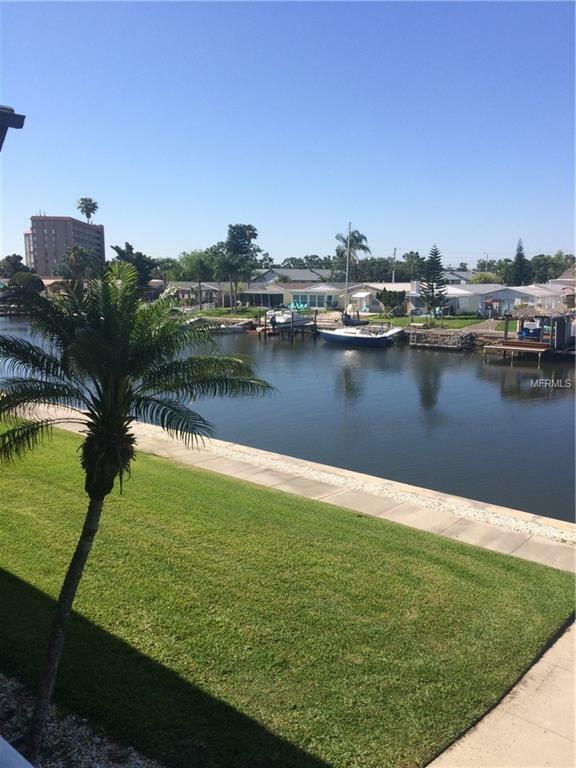 Additional Water Information Gulf Harbors Condominium is A Water Front Community.